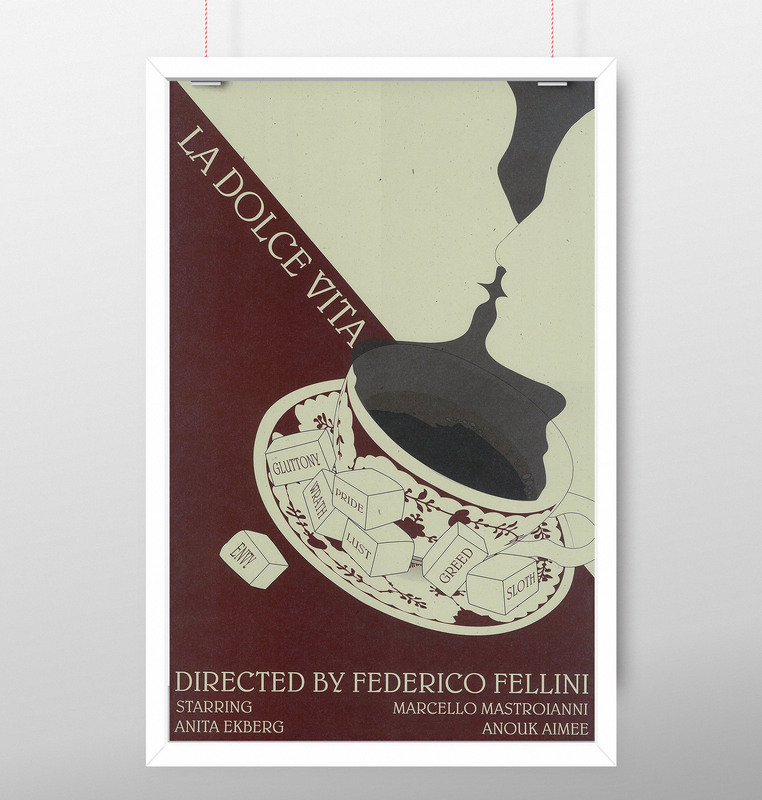 The objective of the project was to create a poster for the movie La Dolce Vita in the style of Art Nouveau. The movie La Dolce Vita is filled with many fantastical scenes. Even something like a simple cup of coffee turns into something else. The movie centers a lot around the 7 deadly things. 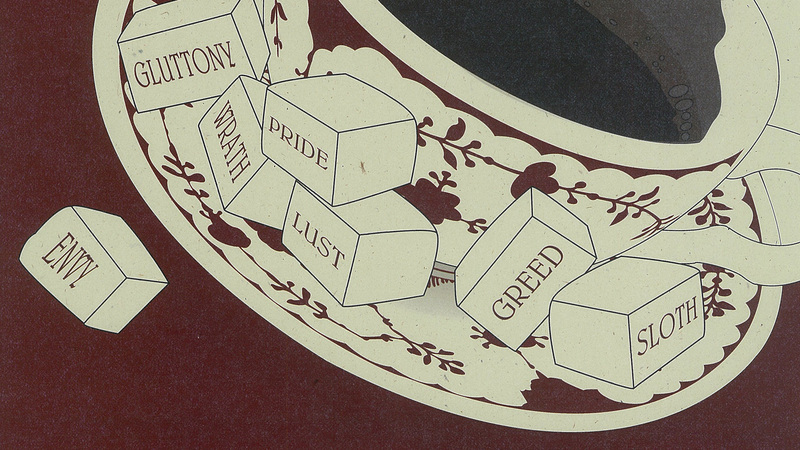 The 7 deadly sins seem to go hand and hand and it is hard to commit just one without committing another. They always seem to fuse together. In this poster each sugar cube is labeled as one of the 7 deadly sins. When they are put into the coffee, they mix together. 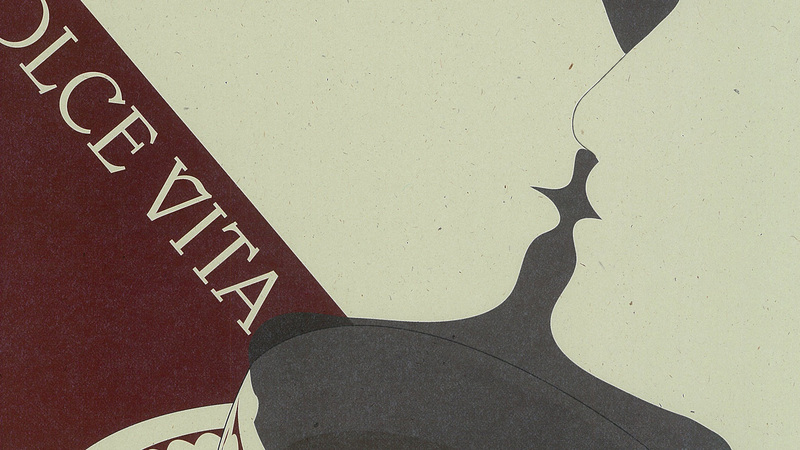 The steam from the coffee forms the silhouette of a man and woman kissing.